One of my favorite things on my press trip to L.A.last month was learning about a lot of the behind the scenes stuff at Disney Toon Studios. 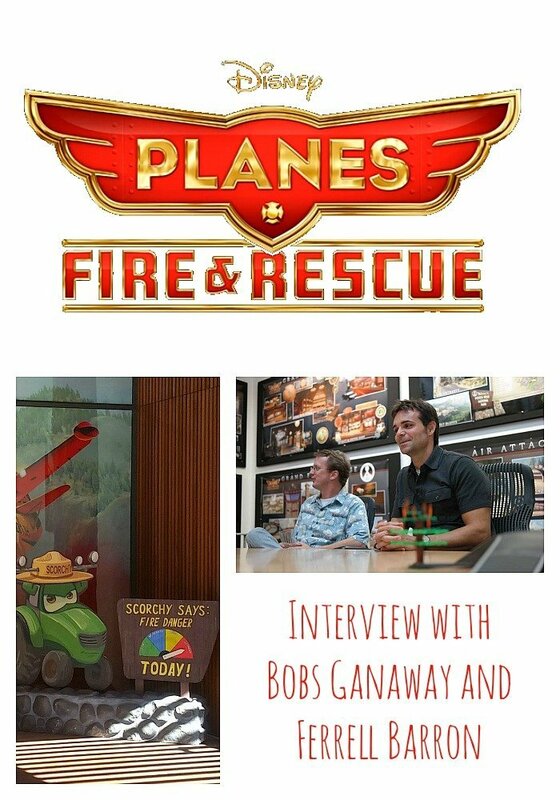 It was such a neat place to visit (as all Disney owned properties are), but visiting with Bobs Gannaway (Director) and Ferrell Barron (Producer) to discuss more about Planes: Fire and Rescue was amazing! Will there be a third Planes movie? Bobs: You know, what’s interesting about Disney Toon Studios, again, John Lassiter is such a wonderful, creative leader. He’s a filmmaker, which is great, to have a filmmaker, a fantastic filmmaker, sort of heading the studios that he oversees Disney Animation Studios, Pixar and Disney Toons. These things take so long to make. You know, it’s five years of your life to make. Even though this came out a year later, still, we didn’t make it in a year. And so, they can’t feel like assignments, because they are something that you’re going to basically pour yourself into. So he really waits for his filmmakers to be inspired by something, and to go out there, and research it, and meet the people, ride in the vehicles, and come back and tell him and everyone on the team, what you’d discovered that was cool. We hope to make more stories in this world, but we will wait until we find the right thing. That everybody kind of sort of wants to commit to, for five years. Because it’s a huge commitment, and it has to be a passion, not an assignment. So, yeah. Ultimately I hope to make more. Like I said, I’m still here. We finished the movie, I’m still coming in every day, and no one’s said stop. So I think we probably will do some more. How do you select the voice actors? Bobs: We cast characters that we feel embody the spirit of the character. And so we won’t say “oh, here’s an actor, and we want to work with them, let’s create a character for them.” We don’t do that. We’ve created the character, and then we go out and find an actor or actress who we feel like embodies the spirit of that character already. There’s a couple of times when you do have someone in mind already, when maybe you sort already know you have a character. Harvey and Winnie, which are Jerry Stiller and Anne Ramira, they are the perfect example. So, you have two Winnebagos who are on their 50th wedding anniversary, coming back to Piston Peak to celebrate that. And you want to have instant chemistry between them, and then, from a film making standpoint, it’s a plant, because they are gonna be used later. And so from a casting standpoint, we got Jerry Stiller and Anne Ramira, who are a comedy couple who’ve been married for 50 years, you know, and you didn’t have to do anything. It had come preloaded with the chemistry that you’d want to create, so they already embodied the spirit of those characters, and so it was a natural for them to fit into it. Dale Dye is a veteran, so he’s playing the major ex-military aircraft. Wes Studi is obviously American Indian, and so he’s playing our American Indian helicopter. We got Ed Harris as a tough guy. Julie Bowen we wanted to have Dusty’s biggest fan. Someone who’s just on the verge of being a little crazy, um, hopeful is a better word, and so Julie was fantastic for that. And, Curtis, I’d worked with many times, and I know how great of an actor he is. I needed somebody who could yell at you, but you don’t take them that seriously. And so Curtis is sort of, you know, when he shouts, the more he shouts, the funnier he gets. So you kind of go in and you figure, who already has the spirit of the character? Can you think of a remarkable ab lib? Ferrell: Julie Bowen, when her pontoons go down. “Yeah, they’re real.” And that’s Julie Bowen. She’s such a great comedic actress. And she’s great at improv, so you know, she was perfect for that role, ’cause she brought so much more to the table, it’s one of the funniest lines in the movie, right? So, thank goodness we had her. 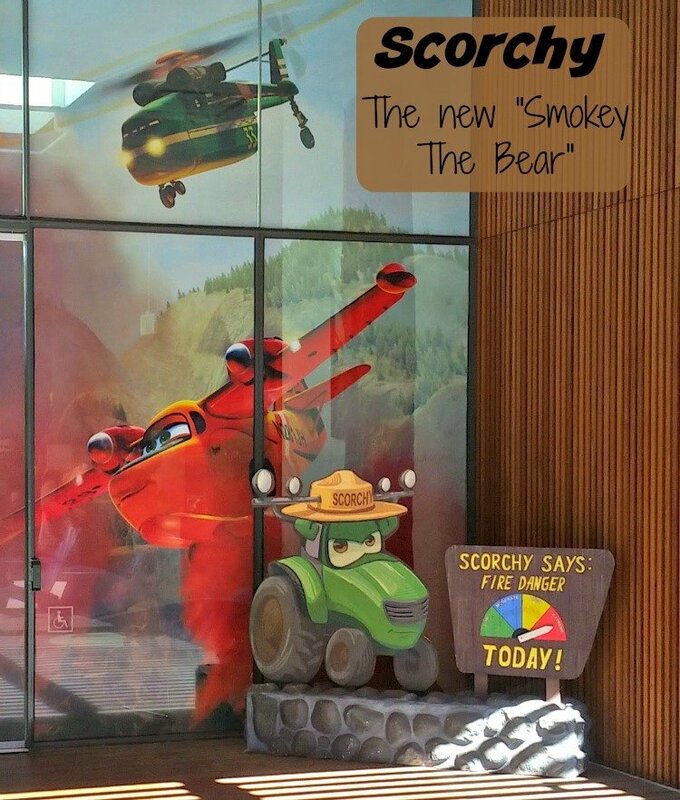 Do you see Planes: Fire and Rescue as the new Smokey The Bear? Ferrell: We say Scorchy is the new Smokey the Bear. We did do some PSA’s with the park service about that. I think for us it was mainly wanting to pay tribute to the firefighters around the world. We’re focusing on wildfire air attack, but it’s really about all firefighters, and all of the research I’m sure you saw Cal Fire, who we worked with. It was really important for us, after we’d met them, you know, they became more than just consultants. They really became our friends, I still stay in touch with Travis Alexander, Big Travis. Julie Hutchinson. And we still call each other and see how we’re doing. I mean, they really became our friends. And so it was important for us to do right by them, because of all that research, bringing that truth and accuracy to our film making, so that all firefighters really are honored. I don’t know if they showed, if they talked to you about, in the movie, we have the wall of fame. A couple of the aircrafts on there were actual Cal Fire airplanes that went down. We put them with the numbers, and it’s the actual aircraft, and we put that in there. They were really taken aback, and, you know, it’s such an honor that we honored those brave men and woman that actually lost their lives, but that’s in the movie. The public’s not gonna know that, but they saw it. Bobs: Someone picked up on that. This aircraft here is one that actually crashed in Cal Fire, we don’t say that in the movie, but that’s the number of the plane that crashed, and someone picked up on it and wrote an article about it, as an honor to that firefighter. And when we showed the movie to Cal Fire, they were just like, “that’s a lovely thing to do.” It’s just the tiny little details, we worked with the forest service. 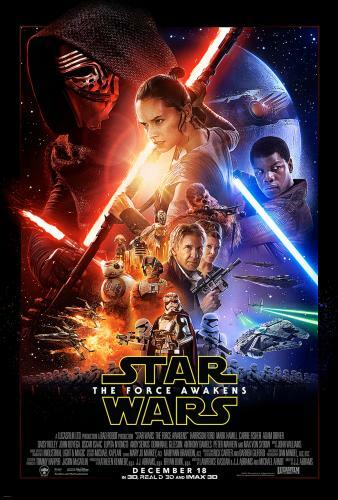 If you listen, the fire in the movie is caused by lightning. Because I didn’t want it to be a whodunit situation where we’re trying to track down an arsonist and all of that kind of stuff. The majority of the fires are caused by lightning. There are over 50,000 wild fires a year in the US, it’s crazy, and these firefighters are out there, putting them out all of the time. But some of them are caused by humans, if you listen carefully, on the dialogue, on the very first, I believe it’s right before the thunderstruck sequence. You hear that the caused by an unattended campfire. And that’s something we put in for the forest service, because we wanted to push their message a little bit. Ferrell: That’s part of their campaign, be careful, put your fire out. Bobs: So it’s little things like that that we do, kind of because the people we work with, the park service, Cal Fire, they become our friends, and we want to do right by them. Don’t forget to pick up your copy of Planes: Fire and Rescue on November 4th! What is your favorite part of Fire and Rescue? PreviousWill you rock the good or the evil?